My name is Amanda Hannon. 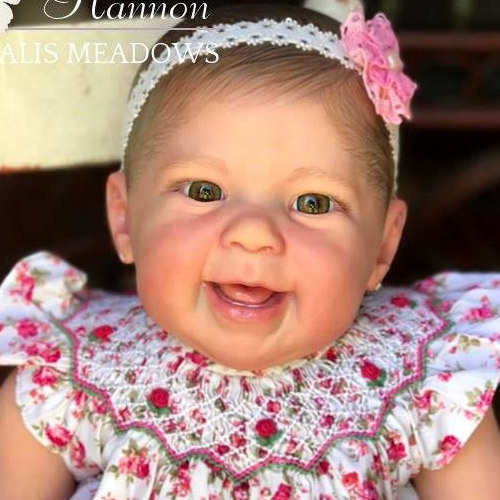 I have been a reborn doll artist for about twenty years. 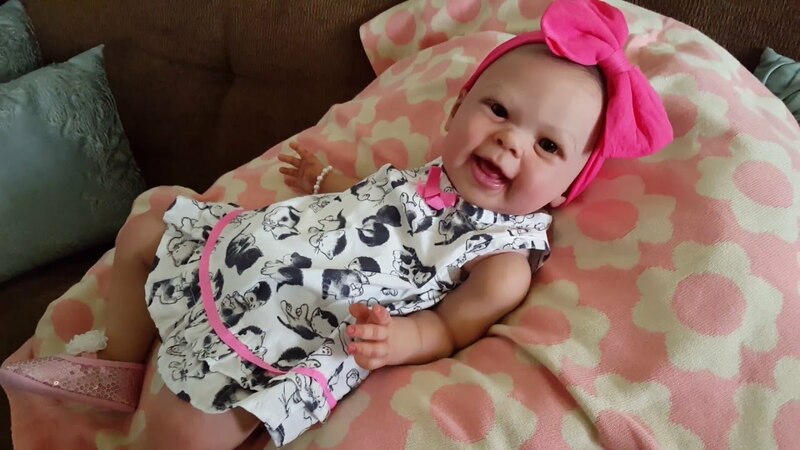 I offer these amazing, life-like baby dolls from preemies to toddlers! Be sure to view my Gallery. 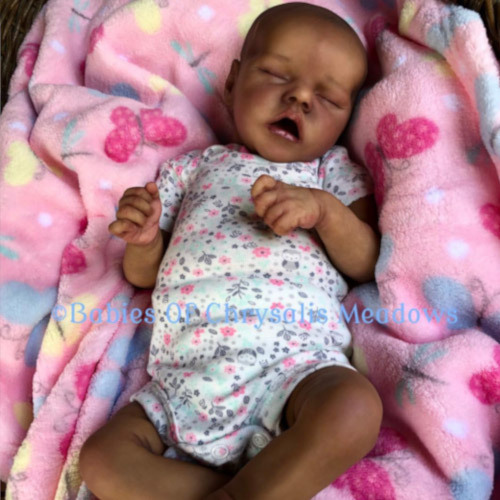 Currently available dolls are located on the Meadow pages and you can build your dream baby on the Custom page. Follow me on Instagram, Facebook and YouTube for daily updates. Also, keep checking the website for new dolls. They go quickly and you don't want to miss out! Chrysalis collector's dolls are meticulously made with extreme attention to detail, and realism. My heirloom quality dolls appeal to a vast variety of people. 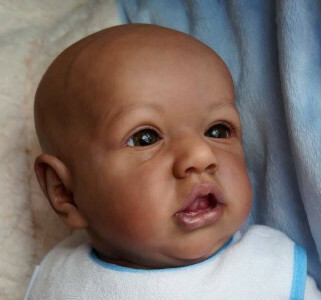 It is my hope that my dolls will be passed down from generations to come. I have many happy repeat customers and would love to provide references. Check out the Youtube videos of my babies and their new homes. I am a member of the doll artist group ATLAS receiving their badge of honor, a featured artist in New York Times magazine, have been a prototype artist, and have had my dolls used in a number of company advertisements. Every Chrysalis Meadows Doll is unique, starting with a blank limited edition vinyl kit. Each kit is a clean, blank canvas and is painted by hand using permanent Genesis oil paints that will withstand the test of time. With every paint stroke, my vision creates a baby into it's own individual work of art. 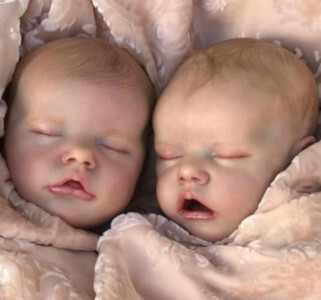 When a baby is completed and available for sale, do not miss the opportunity to adopt because there will never be another one just like it made again. 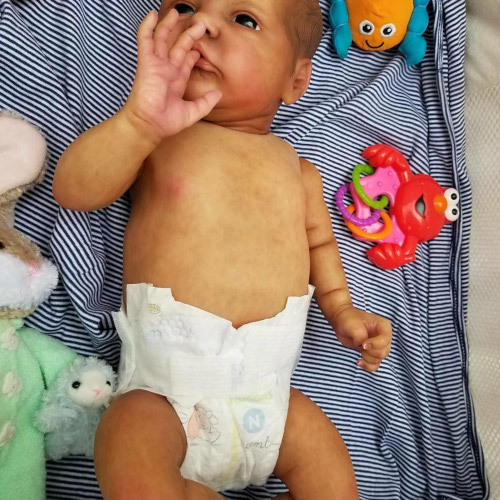 Not only are these babies appealing to collectors, they also serve as therapy to many different people. 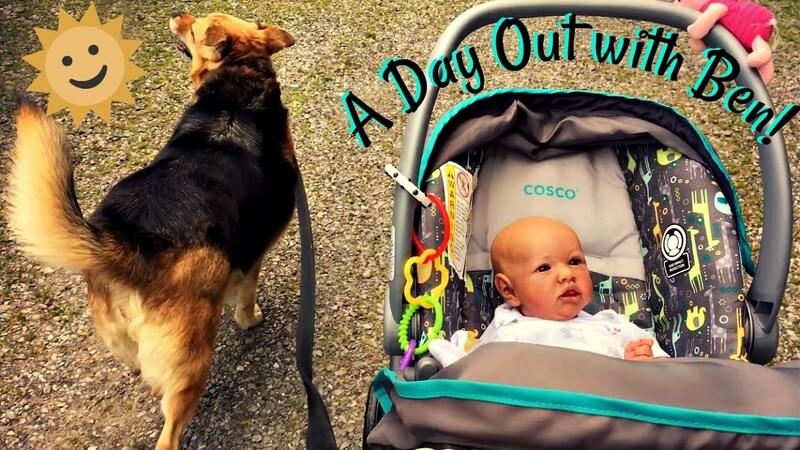 Holding a baby is one of the most peaceful feelings and I have personally witnessed many times how they help with anxiety, loneliness and loss. They are currently being utilized in schools, nursing homes and hospitals. I also have several autistic clients. Reborns have a life improving impact on people and often serve as a specific niche benefit. The presentation of my dolls is like a baby shower and birthday party in a box! 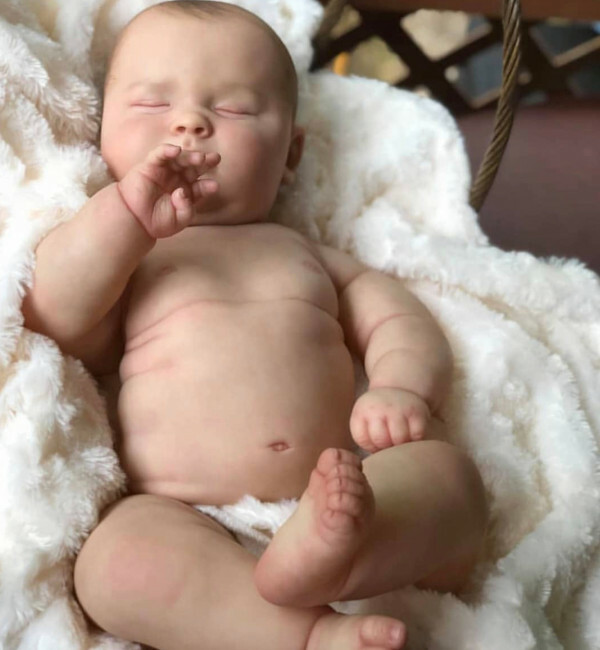 Your baby will be carefully and thoughtfully wrapped with care and will be packed with many lovely items to make the experience special and exciting. The new family addition comes from a non-smoking nursery and will come home to you smelling as sweet as a baby should. Every doll comes with a personalized birth certificate, documentation of authenticity signd by me and a full care instruction packet. 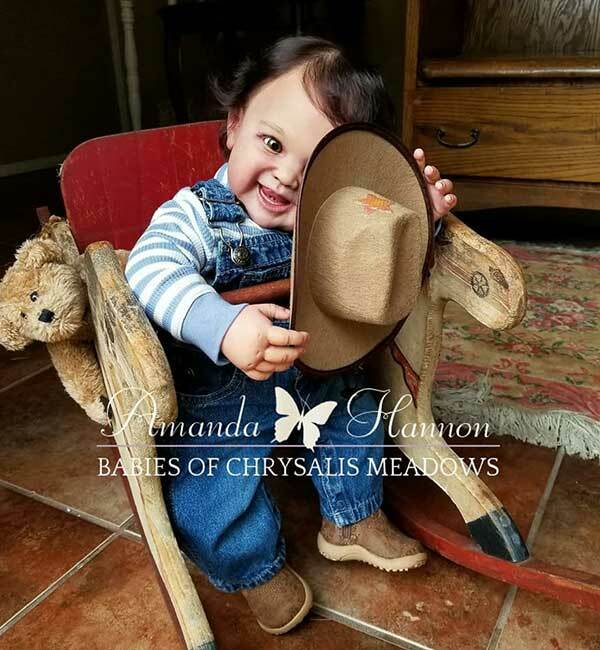 Expectant parents will also be excited to know that their precious little bundles now come with professional full color portraits to begin their collection of memories. Ben adopted by Rae Starring in "It's a Boy"
Ben adopted by Rae Starring in "A Day Out"
Maizie adopted by Evonne Starring in "Reborn Box Opening"
Maizie adopted by Evonne Starring in "Arrival Thoughts"
Minette adopted by Tori Starring in "Morning Routine"
Finley & Minette adopted by Tori Starring in "Twins First Photoshoot"
I work hard to provide a number of specialty services for the reborn doll community. In the last twenty years of doll making I have been perfecting my own techniques and with each doll I discover new ways of bringing them to life. Well known specialty! Ethnic painted dolls take more time to meticulously create the additional layers of color and shading required to achieve a variety of diverse skin tones. 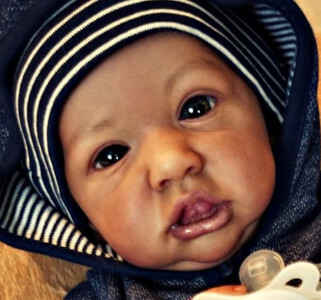 One of my favorite goals has always been to offer dolls to a world of collectors who are wanting to build a diverse array of reborns. 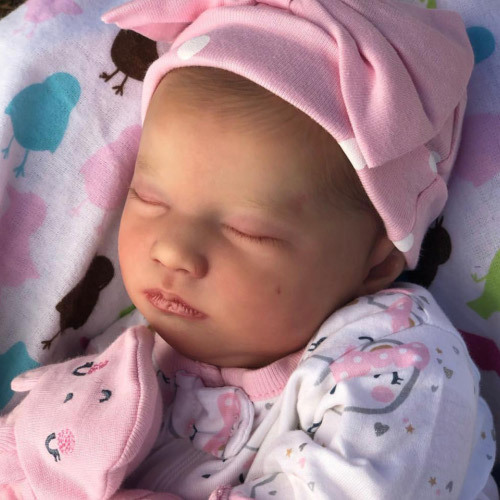 I often have clients send me their own baby pictures and I am able to use these methods to match their specific coloration, hair style and birth marks. A great example is the Saskia Triplets in the portfolio section. Beautiful baby locks! 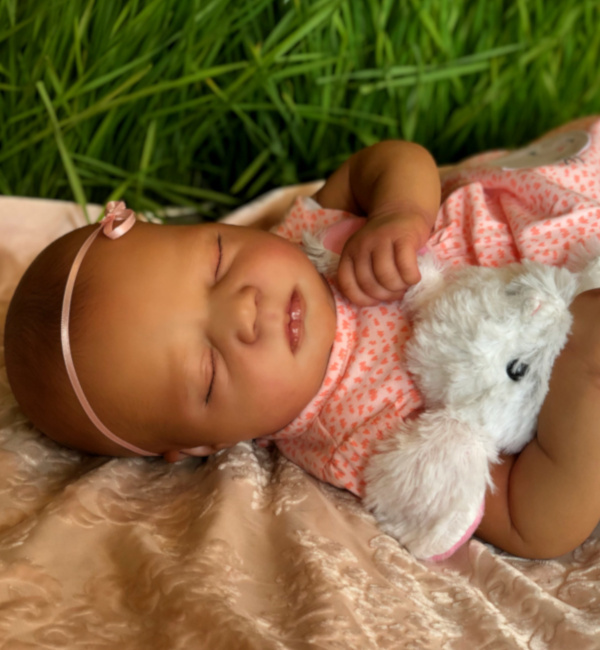 I have heard from collectors and other reborn artists that dolls with painted hair are highly desirable and a growing trend since they are easier to maintain and often more realistic. I pride myself by creating painted hair that surely fools the eye with a wide variety of hair styles. 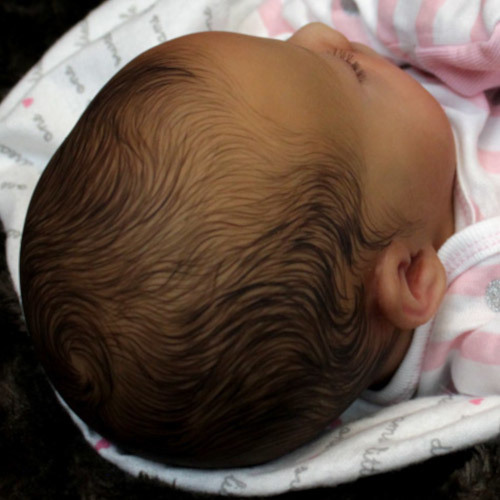 Each painted hair style gives every baby it's own unique personality without the fuss and fragility that rooted hair presents. With regular attention, rooted hair is also a great decision and an amazing look. Dream baby vision! 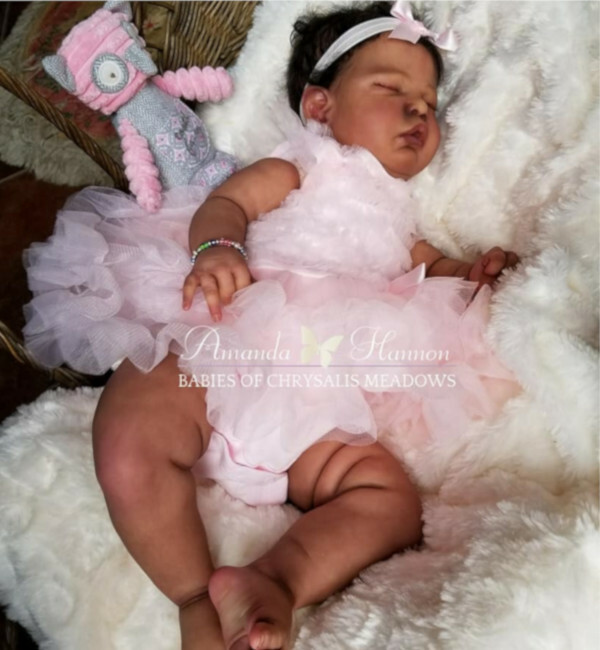 There are two types of reborn dolls that I offer. Those made by my own inspirations and those inspired by my clients. 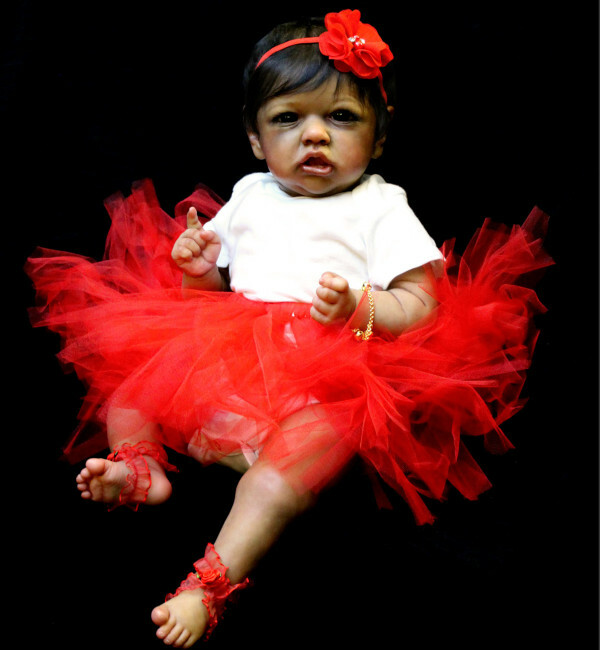 Dolls inspired by me are frequently availible on this website under the pricing section. If you are one of my many clients that would love for me to create a custom doll for you then let me know! You can text/email/call me under the ordering section. We can discuss your dream baby vision and completion timeframe, along with cost and payment plan. Only the best! All of my dolls are brought to life with Genesis heat set oil paints using numerous layers to create vivid, extreme depth. They are also matte varnished to protect them through generations of time. From the premium hand-made German glass eyes, authentic angora mohair, fine glass beads and angel silk filling, to the expertly waited premium cloth bodies, every element is carefully selected to be of the highest quality available. No cut corners! From the tops of their heads to the tips of their toes not a single nuance is missed. Years of study in the process of using ultra thin layering teqniques create the sotly featured undertones, overtones, veins and cappilaries that subtlety appear under real skin. 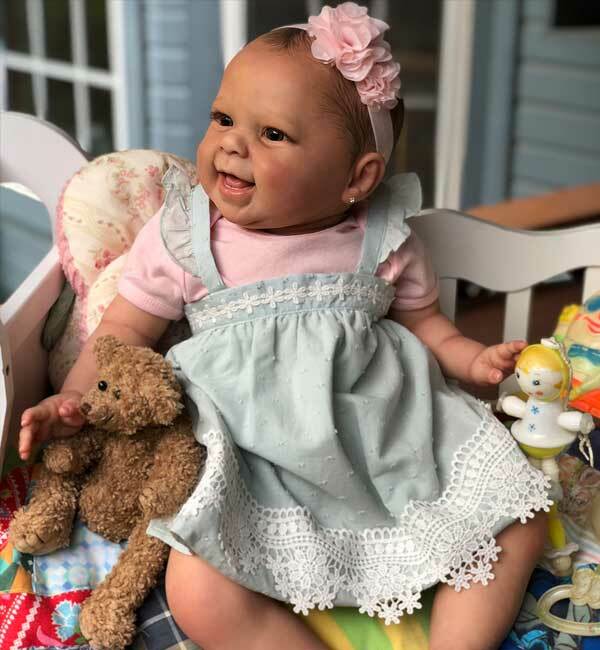 The blushing, blemishes, finely painted eyebrows, naturally colored lips, trimmed finger and toenails are painstakingly painted on every one of my dolls. Always on my mind! I offer excellent customer service by keeping close contact with my clients throughout the entire process, answering all questions quickly and sending progress pictures. I like to let each client know how special their doll is to me and how important they are as well. Without my many wonderful clients I have no babies to bring to life and no business - that is never forgotten and why you are my top priority. Here is a sample of some of my projects. View my expanded picture portfolio on the Gallery page and latest work on the Meadow page. 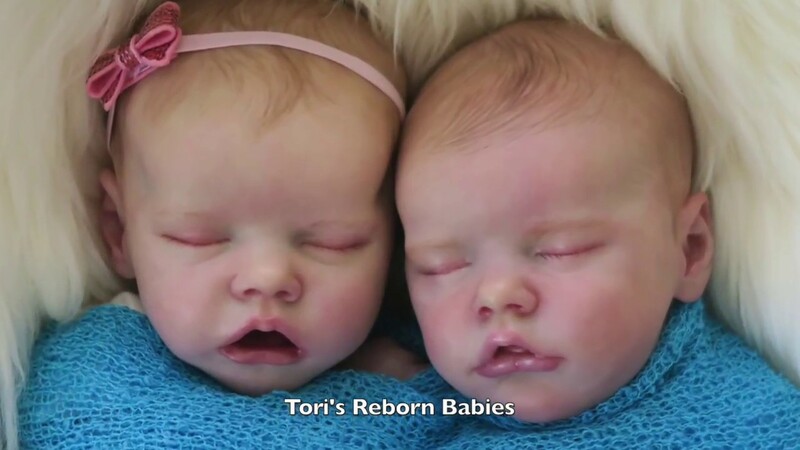 The Reborn Doll community is a group of hyperreality hobbyists with collectors worldwide and roots back to the early 1990's. 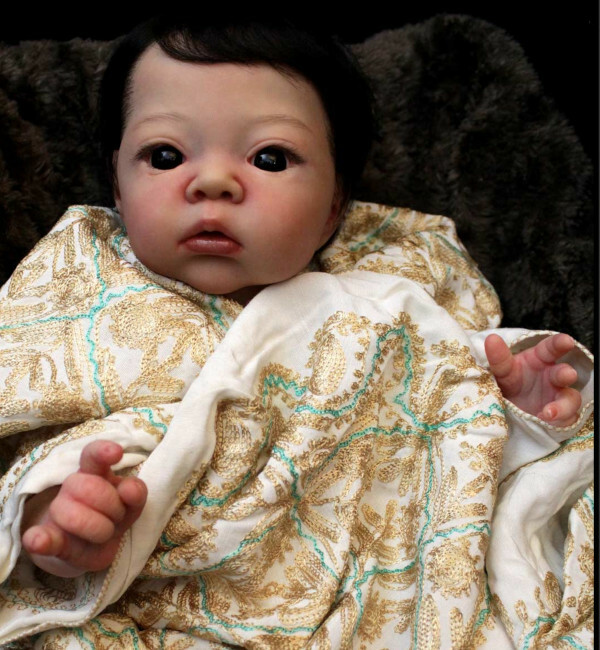 A Reborn Doll is produced from a vinyl kit that was created by a sculpture and then hand painted by an artist. 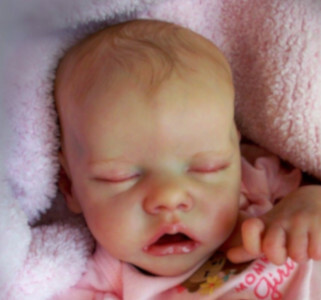 A Realborn Doll is a Reborn kit that was created from a 3-D scan of an actual baby. 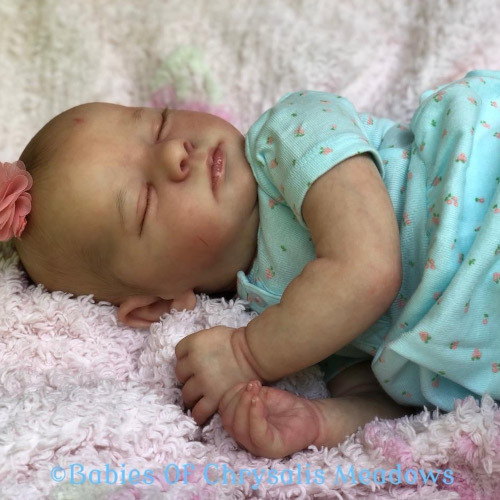 Reborn Doll kits include a variety of endless editions, limited editions and rare sold out editions (SOLE) with a range of pricing. 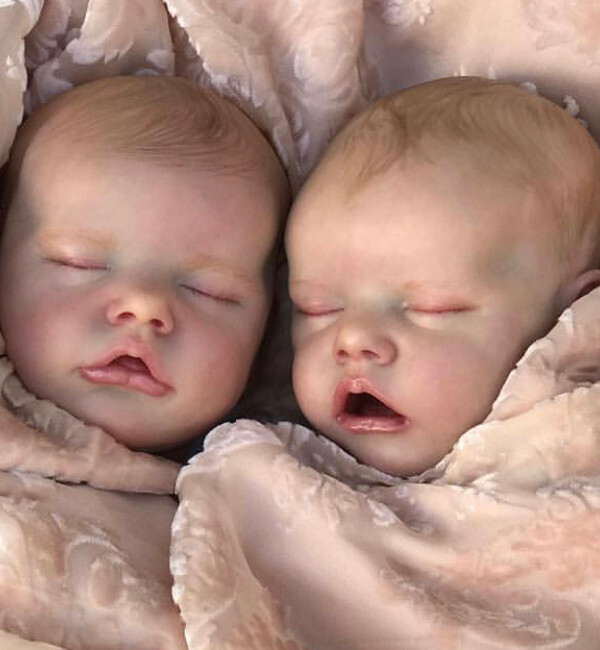 Regardless of which kit is used, when completed, each baby is a one of a kind work of art. 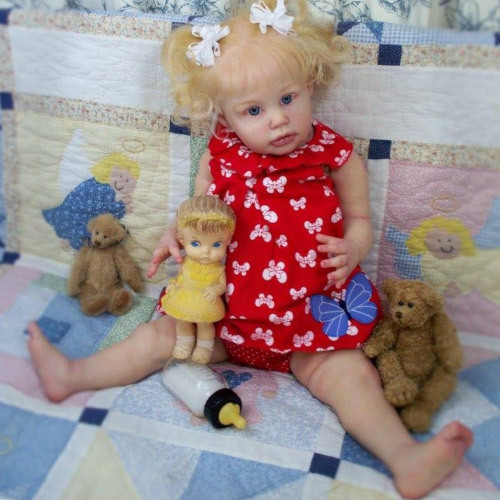 The value of a doll ranges from hundreds to thousands of dollars depending on several variables including kit type, materials used and artist workmanship. 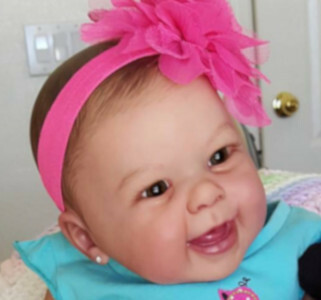 When crafted and then maintained correctly a Reborn Doll is a work of art that will last for generations to enjoy. Plus a few surprise gifts always included with every accessory pack!